Hope to see you at one of these events! SFU Publishing Program Presentation to students about the writing life. SFU Downtown Campus, Vancouver, BC. Registered students only. Library Book Club, Vancouver Public Library South Hill Branch. Reading from Dragon Springs Road followed by Q&A. VPL South Hill Branch, 6076 Fraser Street, Vancouver, BC Note: This event is full. Words in the Burbs, Western Sky Books. Reading from Dragon Springs Road followed by Q&A and book signing. Western Sky Books, 2132-2850 Port Coquitlam, BC. Saturday, June 23 2:35 - 3:45 pm Workshop: Before and After - Working with Professional Editors. What’s it like working with professional editors through the phases of story development editing, line editing, and copy editing? Learn from a real-world examples as author Janie Chang shares edited sections from her novel Three Souls. You’ll get to see original manuscript, comments from her editors, and the final version that went to print. Heliconian Literary Lecture Series, (Toronto, Ontario). Lecture about the themes, inspiration, and research behind Dragon Springs Road. Lorenzo Reading Series, University of New Brunswick (St. John, New Brunswick). Reading and talk. Oct. 19 - 29, 2017 International Festival of Authors (Toronto, Ontario). Details TBA. Sept. 24, 2017 Word Vancouver 11:30 am: Reading from Dragon Springs Road. Venue: The Suspension Bridge (Homer Street). Free public event. Thank you to sponsor Fernanda Viveiros! Thursday Sept. 21 6:30 - 8:30 pm at Vancouver Public Library Central Branch. Reading with: Jen Sookfong Lee, Leanne Dunic, Julia Lin, Eleanor Guerrero-Campbell. Friday Sept. 22 6:30 - 8:30 pm at Thai Town Restaurant. Readings, food, music, book signings. $10 per person, cash bar. Saturday Sept. 23 5:30 - 6:30 pm at UBC Learning Exchange. Panel discussion The Art of Storytelling - the delicate line between fiction and reality. Moderated by Dr. Glenn Deer, with Kim Thuy, Leanne Dunic, Jen Sookfong Lee, Eleanor Guerrero-Campbell. Sunshine Coast Festival of the Written Arts. In beautiful Sechelt, BC. One of those events that authors love for its unique, intimate atmosphere and wonderful audiences. And getting billeted with great hosts. Friday Aug. 18 10:30 - 11:30 am. On stage interviewing Gurjinder Basran on her latest novel Someone You Love is Gone. Saturday Aug. 19 9:00 - 10:00 am. Reading and talking about the history, mythology, and family stories behind Dragon Springs Road. If the caffeine doesn't hit my bloodsteam in time, this talk could be more interesting than planned. 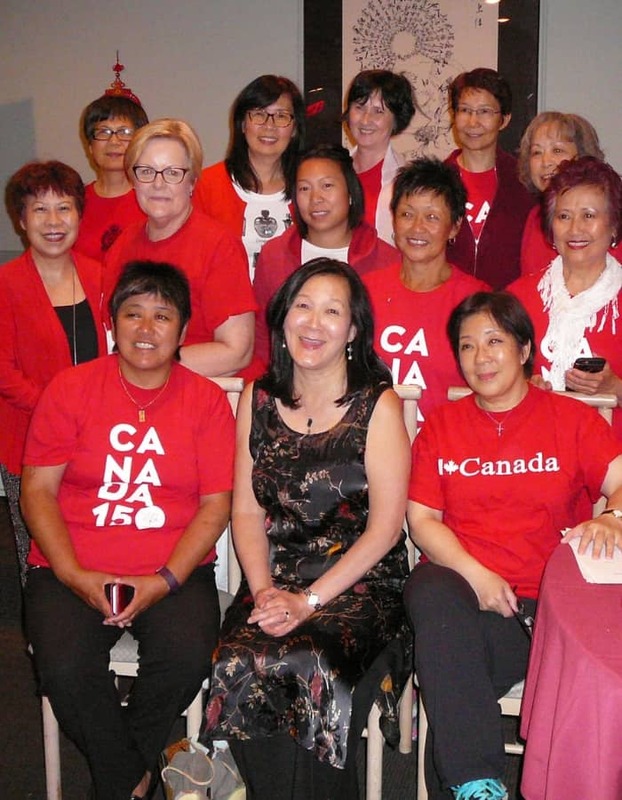 8-course Chinese banquet and fundraiser for BC wildfire relief. Proceeds benefit the Canadian Red Cross and the BC SPCA. At the Golden City Restaurant, 21 Fisgard Street, Victoria, B.C. $55 per person dinner only or $75 includes a copy of Dragon Springs Road. Donate $500 or more and you and/or your group will be invited on stage to present your cheque to the two charities.If you can't make it, cash donations and gifts for raffles and auction are welcome. For dinner reservations or more information, contact ffearless organizer Charlayne Thornton-Joe at email: thorntonjoe@shaw.ca. Thanks for your support and big thanks to Charlayne and her amazing team: Ellen Fung, Veronica Osborn, Julia Lacy, Connie Haselden, Sabrina Orton, Margaret Lee, Vanessa St Arnault, Lola Smith and many others! Also Munro's Books and Golden City Restaurant. Historical Fiction Tour: going on a Canadian west coast road trip with fellow HarperCollins authors Kate Quinn and Jennifer Robson! Struggling not to call this the Hysterical Fiction Tour. Sunriver Books. 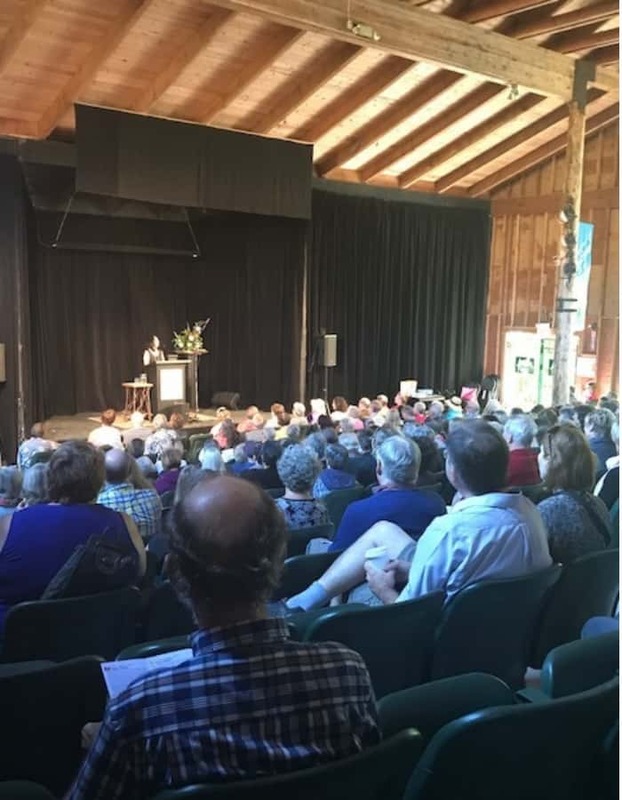 (Sunriver, Oregon) Reading and a chat with audience at a wonderful independent bookstore in Oregon. Historical Novel Society Conference. 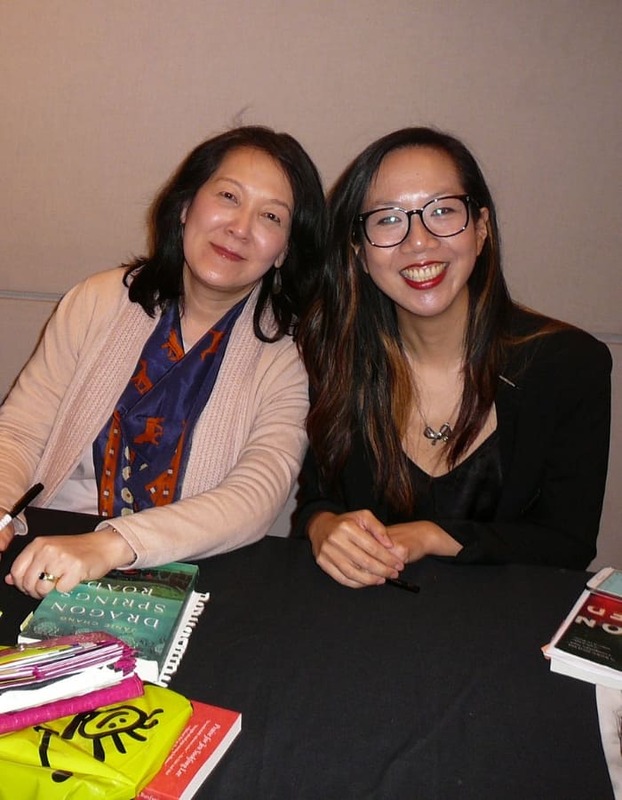 (Portland, Oregon) Come with me, to the land faraway: a discussion of novels set in Asia with co-panelists Weina Dai Randel, author of The Moon in the Palace and The Empress of Bright Moon, and Elsa Hart, author of Jade Dragon Mountain and The White Mirror. Moderated by Kevan Lyon of Lyon Marsal Literary Agency. May 21, 2017 3:00 pm - 3:50 pm Chinese Shadows readings from Deborah Challinor (The Cloud Leopard’s Daughter), Janie Chang (Dragon Springs Road), Rob Schmitz (Street of Eternal Happiness) and Tyl von Randow (Red Dust Over Shanghai). May 20, 2017 12:00 pm - 1:00 pm From the Other Side with Rob Schmitz leading a conversation on outsider perspectives with writer Lenora Chu and novelist Janie Chang. Canadian Authors for Indies Day. (Vancouver Lower Mainland) Save the date! Support Canada's independent bookstores. 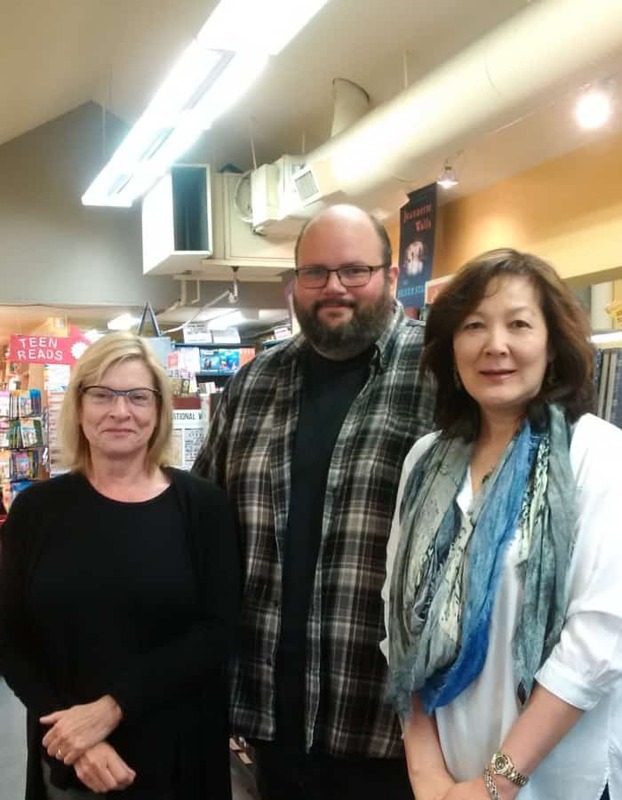 Hundreds of authors across Canada will be working as guest booksellers at independent bookstores. 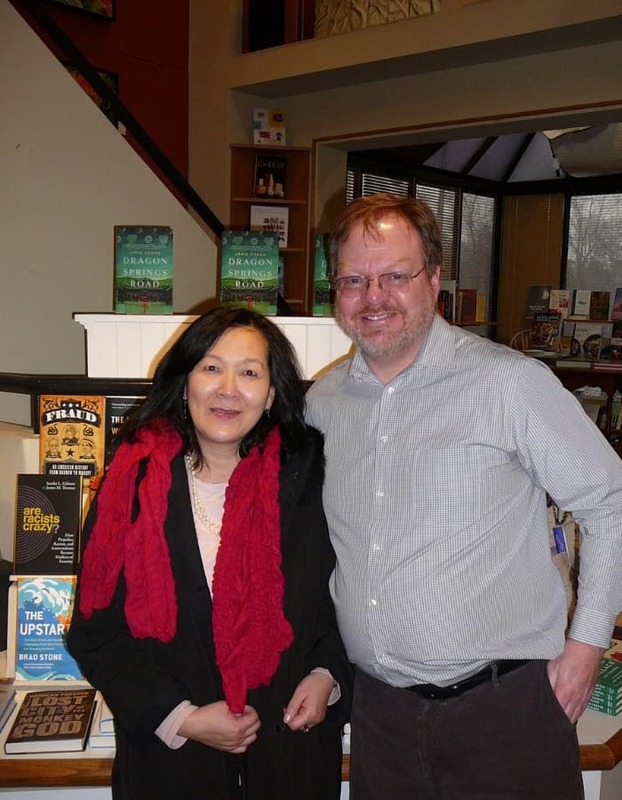 I'll be at Armchair Books in Whistler, BC along with the irrepressible Susan Juby! 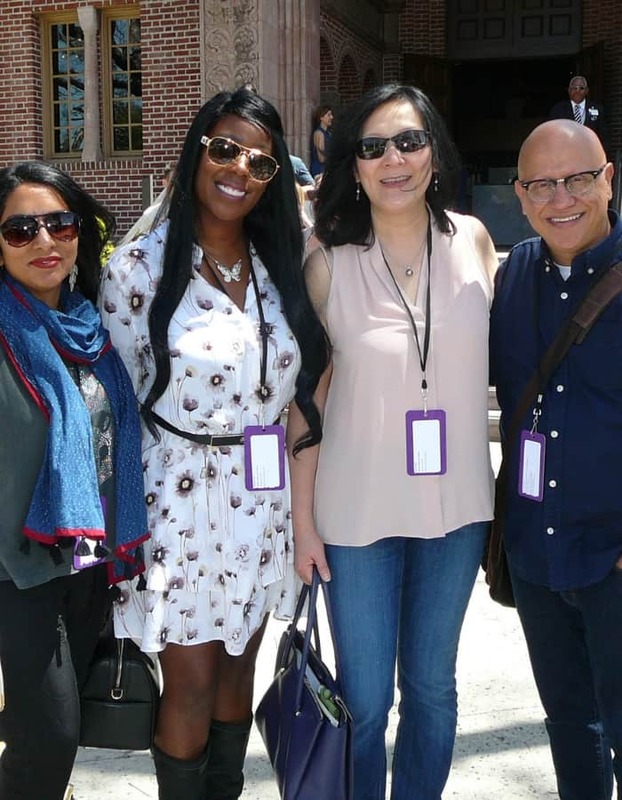 Los Angeles Times Festival of Books (Los Angeles, CA) "Road Less Traveled" with co-panelists Natashia Deon, Shanthi Sekaran, and moderator Alex Espinoza. Claire V.G. Thomas Theatre (Lynden, Washington) Come join the studio audience of the Chuckanut Radio Hour variety show, the Pacific Northwest's answer to The Prairie Home Companion. I'll be in the guest author segment of the show. Nope, sorry, not singing or playing a musical instrument, just getting interviewed. I've been told it's a hoot for audience and performers. Vancouver Public Library (Central Branch) - Alice McKay Room. The Vancouver Writers Fest's Incite Series. Where I'll be on a panel with authors Carleigh Baker and Jen Sookfong Lee, in conversation with VWF artistic director Hal Wake. Poor Hal. Galliano Literary Festival. (Galiano Island, BC) What's better than being in a gorgeous island setting? Being on stage with the wonderful Steven Price. Fan girl time. Western Book Reps Association Spring Bookfair. (Victoria, BC) I've been invited as a guest of the BC Booksellers Association to a reception at this event, to talk about Dragon Springs Road and also about Authors for Indies. In beautiful Victoria, BC ! Another Story Bookshop. (Toronto, ON) I will be giving a short reading interspersed with commentary about the era of Chinese history when Dragon Springs Road takes place, racism, women’s status, and belief in Fox spirits. Followed by Q&A. Book City Bloor Street West (Toronto, ON). Dropping by to sign books, chat. A Different Drummer Books. (Burlington, ON). Reading followed by discussion with Rhonda Dynes, Professor of Communcations at Mohawk College. My publicist tells me this bookstore is an absolute destination in Burlington. A Novel Spot Bookshop. 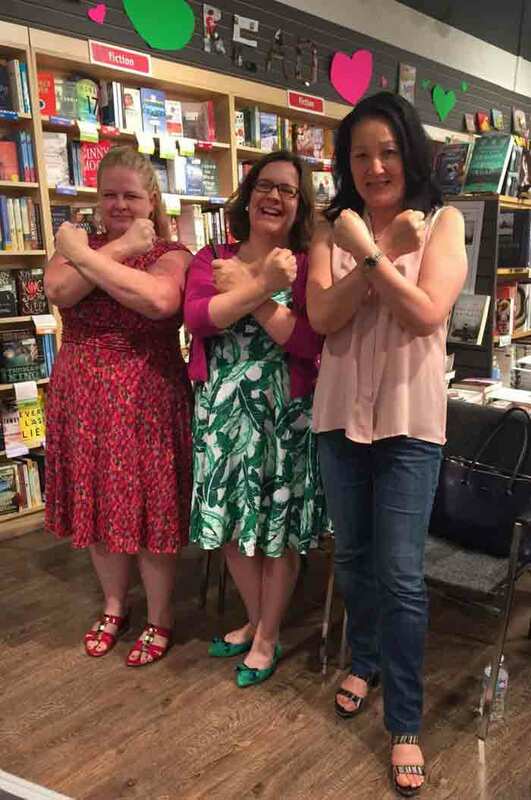 (Etobicoke, ON) Reading, signing, tap-dancing. OK, just kidding about the dancing. I will be dropping by for a short reading, chat, sign books. 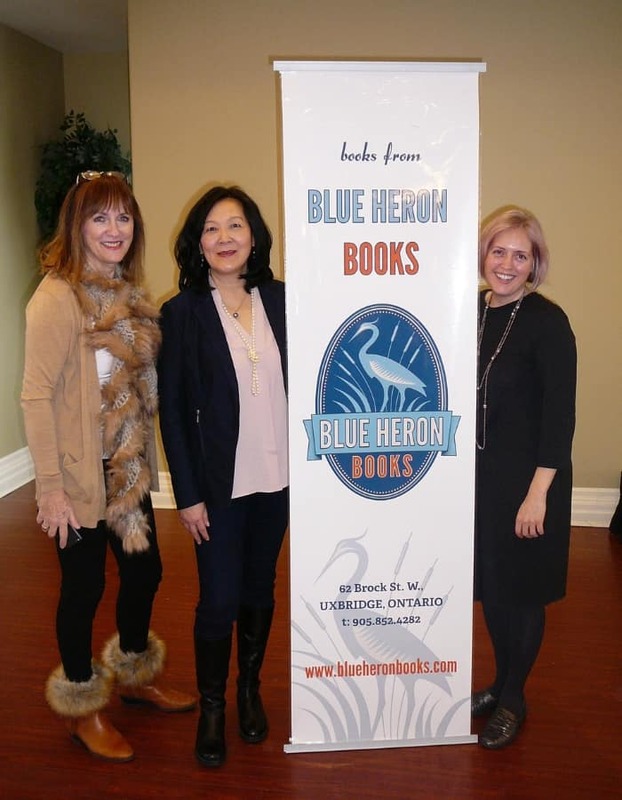 Blue Heron Books: Books and Brunch. (Uxbridge, ON) Should I be looking forward to this one? I've heard rumours about the moderator for the event! Event is hosted at Wooden Sticks Golf Club in Uxbridge. Tickets for the brunch $25. This is first event of the Toronto area mini-book tour for Dragon Springs Road. With friends in Toronto. March 2018 Heliconian Literary Lecture Series. Sunshine Coast Festival of the Written Arts. Gorgeous open-sided theatre! LA Times Festival of Books. With co-panelists Shanthi Sekaran, Natashia Deon, and moderator Alex Espinoza.